More than $200,000 in marijuana excise tax revenue will flow into Kitsap in the coming year. 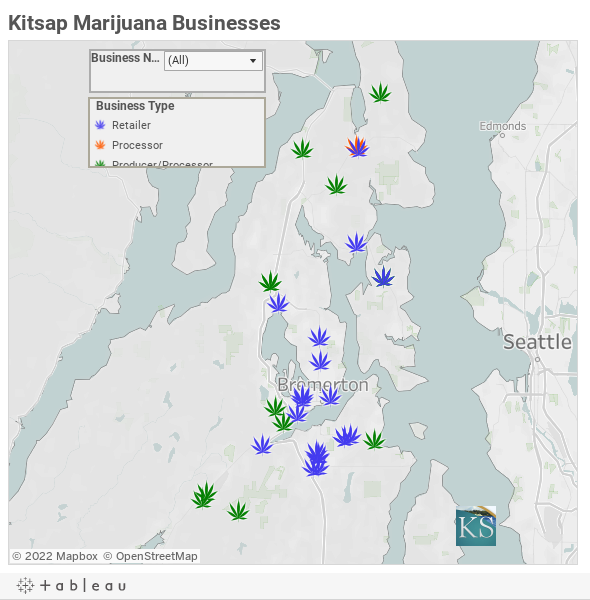 Kitsap County is in line to receive $126,774, according to a list of fiscal year 2017 tax distributions posted by the Liquor and Cannabis Board. Port Orchard will receive $40,107, Bremerton $27,989 and Bainbridge Island $16,419. Poulsbo, which has a moratorium on marijuana businesses, will not receive any money. The money is divvied up based on the amount of marijuana tax generated in each jurisdiction in the previous year. Kitsap governments are spending the money on law enforcement. Beginning in fiscal year 2018, the state will distribute 30 percent of marijuana excise tax revenue to local governments. Thirty percent of that amount will go to cities and towns. Seventy percent will go to counties. How many legal marijuana stores can one town support? It sure looks like we’ll find out in Port Orchard. 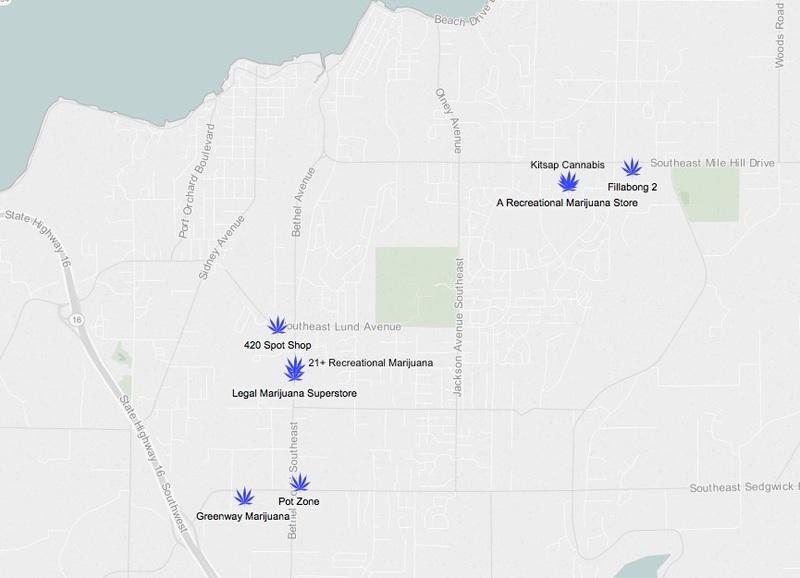 The Liquor and Cannabis Board approved an eighth shop for the Port Orchard area last week (see inset image). The latest licensee is 21+ Recreational Marijuana, located at 3598 Bethel Road SE. The address appears to be across the road from Walmart and next door to Legal Marijuana Superstore, a retailer approved back in December. 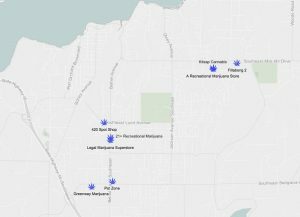 The state has issued 17 marijuana retail licenses in Kitsap, bringing the county closer to its allotted cap of 20. Two more licenses can be issued in the county at large, and one more can be issued on Bainbridge Island. The city of Bremerton reached its cap of four retail licenses in April. 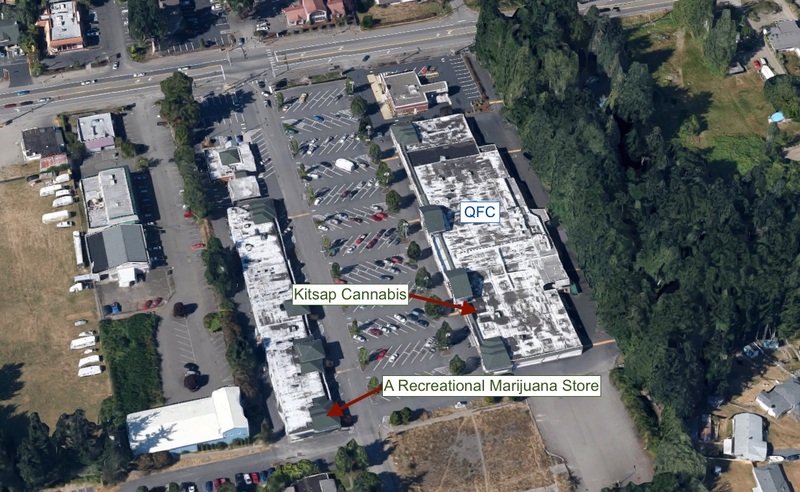 The board also licensed a marijuana producer and processor in North Kitsap last week. The Organic Weedman will be located at 7990 NE Ecology Drive near the Hansville transfer station. Twelve producer/processors and one standalone processor have been licensed in the county thus far. 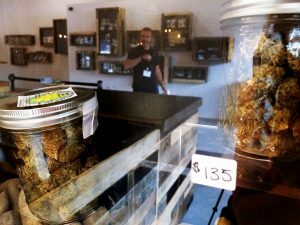 A fourth and final marijuana store has been approved for the city of Bremerton. 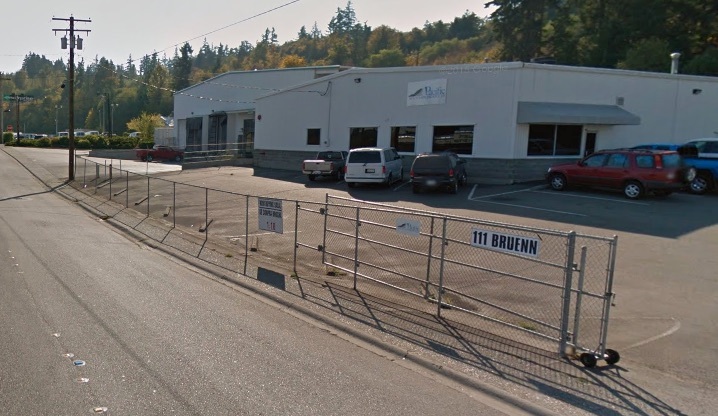 The state Liquor and Cannabis Board gave the green light Thursday for a recreational pot shop called Budeez, at 2111 E 11th Street, next door to Manette Saloon. The space was previously home to a martial arts studio. With Destination HWY 420, Pacific Cannabis Co. and The Reef already licensed within city limits, Bremerton has now reached its state-imposed cap of four marijuana retailers. 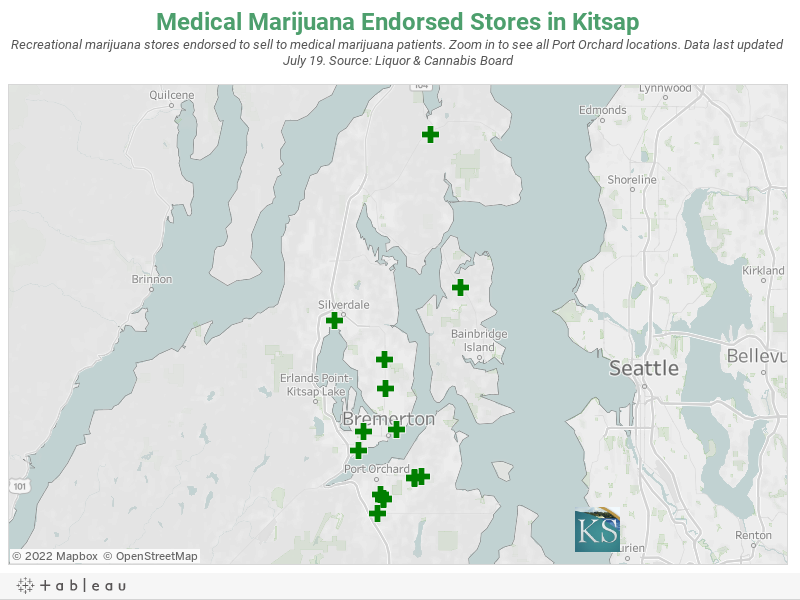 Budeez is the 15th store approved in Kitsap County. The state plans to license up to 20 retailers county wide. A recreational marijuana store has been approved for a space near Walmart on Highway 303. The retailer, licensed by the Liquor and Cannabis Board on Friday, is called Pacific Northwest Green Leaf. 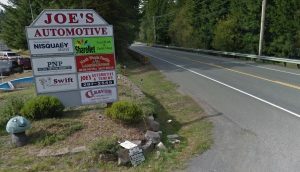 Its listed address is 6733 Highway 303 NE in East Bremerton (but outside city limits). Green Leaf is the 14th marijuana seller approved in Kitsap. The state will issue a total of 20 retail licenses in the county.